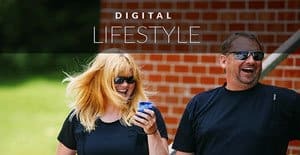 We've been lucky enough to stumble upon some awesome festivals like Shilpgram in Udaipur India, Chinese New Year in Malaysia, A cremation ceremony in Bali and several other festivals around the world that we don't even know the names of. Seriously! We have happened upon thousands of people gathering for an event, and at times, we never even found out what we were celebrating! There are three Asian Festivals that stand out in our minds and if you happen to be heading that way in the New Year, you can catch them all, one each month! 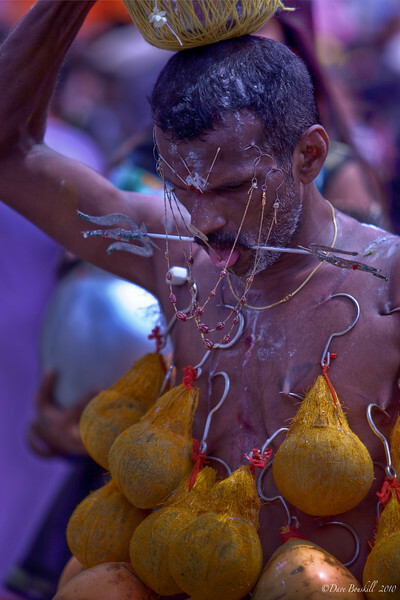 The most shocking Festival we've ever seen, Thaipusam in Malaysia will make your jaw drop. Happening at the end of January or early February, Thaipusam attracts two million people to pay homage to the Lord Muruga. That sounds pretty tame doesn't it? Thaipusam is also celebrated in Mauritius and Singapore. 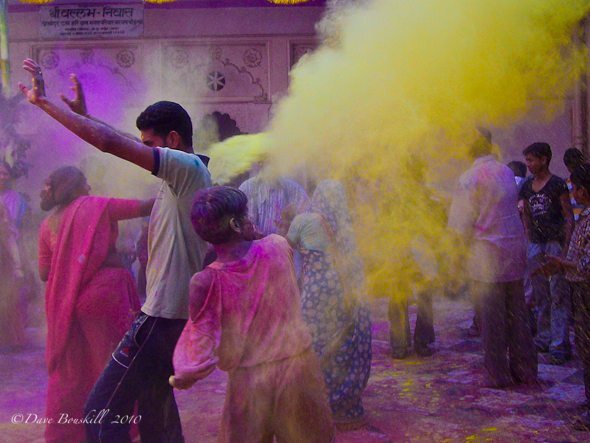 This Hindu Festival happens in the Spring where people throw coloured powders. It occurs at the end of February beginning of march. Burning away the Witch of the Winter. On the eve of Holi, bonfires are lit in the streets to cleanse the air of evil spirits. Holi is a festive event. 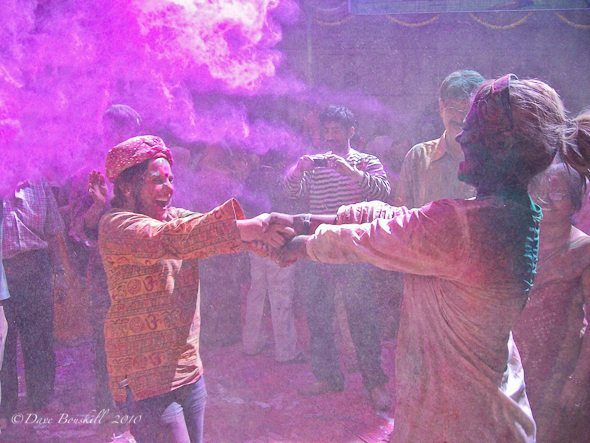 People dance in the streets, music rings through the air and people throw coloured powders at each other and passers by. It is a time for people to put aside all caste, creed and prejudice. The colours bring all of India together in the bond of love. When covered with powders everyone is equal for this one brief moment. Try to celebrate it in Mathura, the Birthplace of Krishna. It is believed that the festival began with Krishna, so where else should you celebrate but the place most readily associated with him. However, there are several different stories regarding the origin of Holi. I can't get them straight even after talking with people and looking it up. This link explains Holi's different myths and legends quite well. Instead, let's just say that Holi is a fun time where India gets to party and forget about what class they come from for a couple of days. It is also a time when they can target crazy foreigners that are nuts enough to join in! Look out if your not from India, they'll have a blast pelting you with coloured water, water balloons and handfuls of powder. You won't be able to stop smiling until you get home and try to wash off the sticky mess. 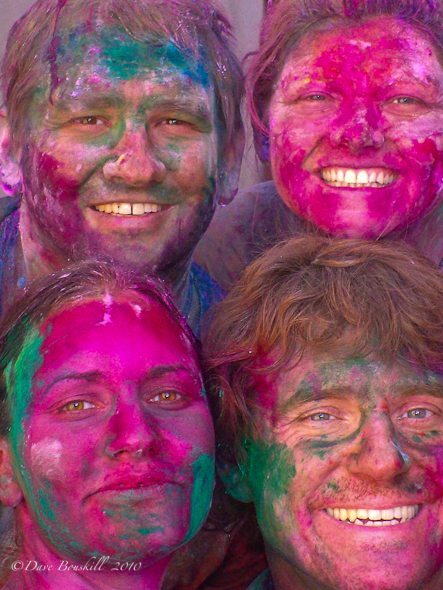 Holi is also celebrated in Pakistan, Nepal, Surinam, Fiji and Mauritius. 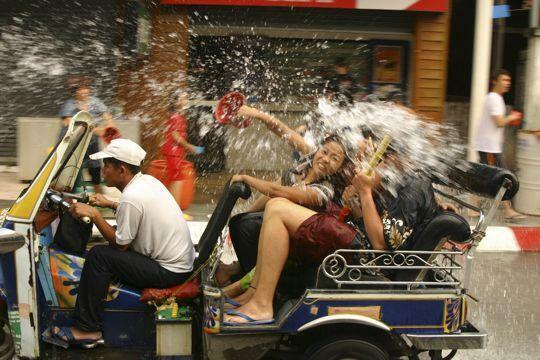 Celebrating the coming of Spring, Songkran is the world's largest water fight! Celebrated on the traditional Thail New Year is falls somewhere around mid April. It has turned into one big party where people line the streets throwing water at each other. People are armed with water guns and trucks drive through the festival route with giant barrels filled with ice water. Kids in the back scoop out bucket loads and throw them on innocent by standers. 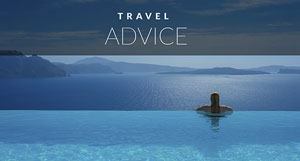 Watch out if your a tourist, you are a prime target for the icy cold stuff. It may be all fun and games now, but there is a religious element to Songkran. A Buddhist Holiday, Songkran takes place over 4 days. it is a time for households to cleanse their Buddhist statues with fragrant water. It is also a time to cleanse their house and start fresh for the New Year. Chiang Mai in the North of Thailand is where Songkran is celebrated to the fullest and it is here that you will find thousands of people lined up along the moat of the Old City waiting to catch the barrage of people who make their way down for the festivities. If your not in Thailand at this time but at one of the many surrounding countries, never fear, they celebrate them too! 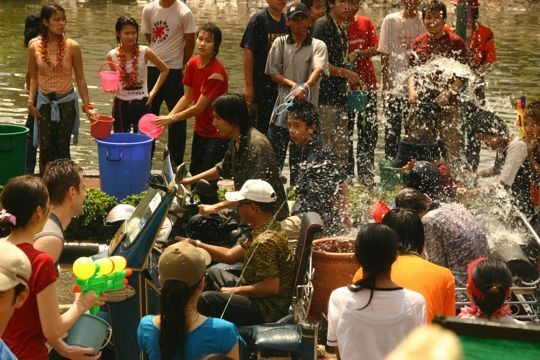 Cambodia, Laos, Myanmar and Yunnan in China celebrate Songkran too! Have you witnessed an amazing, astonishing, shocking or fun festival? What is your favourite and did you participate? 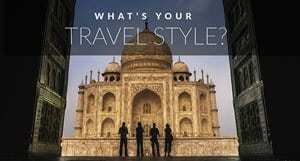 Let us know Now! 35 Responses to "Three Awesome Asian Festivals"
All so interesting. And great people pics with this post. Thanks for posting this and making us aware of the Thaipusam in Malaysia! We just got accepted for a housesit there in January and therefore will be there for the festival. So excited!! And I think we’ll still be in South East Asia for Songkran but probably in Cambodia – looking forward to it! Crap, I’ll be in Thailand from Feb to March and will miss the water fight. Darn it. Oh well I hear there are a lot of other things going on? Have you two been to a moonlight party? Years ago we were at a full moon party. Like in 2000, I think they were a little more tame than now:) But I hear you should go. We haven’t gone to one since even though we’ve been back a few times. We don’t have the stamina anymore;) Have a great time. You’ll love Thailand. I would love to experience Holi. I recently saw a film in which Holi was mentioned and it looks like a really fun thing. I had not heard about the Songkran festival! It is very interesting how each culture has festivals of purifaction, each expressed in their own way! For the Indian festival of Holi, there is the legend of Holika who tried to kill her nephew Prahlad by burning him, but because he was a devotee of the Lord he was saved and Holika got burned! That’s why the night before Holi they light a bonfire! You said it perfectly “Intriguing and astonishing!” We’ve been to Thaipusam twice and the thing I remember about both most is just how hot it is. The heat is unbearable this time of year and they’re adding to the stress of it by putting spikes through their cheeks. I had a hard enough time walking around carrying nothing. It’s amazing. I’ll check out your video. Cheers. Songkran is awesome, need to look into the others and cool round up! Hey Rob, you would love the other two as well. Thaipusam is out of this world, Especially at the Batu Caves. These look like very interesting festivals to experience, if perhaps from a slight distance (the Malaysian one, at least). My first visit to India coincided with Diwali and that was a remarkable affair as well – with strangers giving you presents on the street. Another one I would like to see is the ice sculpture festival in Manchuria. I don’t know if we will still be in Thailand for Songkran but we did have a brief experience of it three years ago when passing through northern Thailand to get to Laos. The windows on our bus didn’t close so we got a thorough soaking from kids as we passed them by – a bit concerning when we had all our belongings with us. It looks like lots of fun in Chiang Mai. It’s true, everyone is fair game even if they have a full pack of electronics on them. We got caught in a tuk tuk in traffic and people pummelled us with ice water forever. It was crazy! Fantastic stuff, love the photos. I’ve experienced Holi but not either of the others. Very cool that you experienced Holi. Where did you celebrate it? It’s quite the unique festival isn’t it? Songkran is probably the best festival/holiday I’ve ever experienced, but I’ve yet to participate in Holi in India. Can’t wait to do that!! Great photos. Thanks Bobbie Lee, Holi is quite the celebration. It’s a lot like Thaipusam only with more colours. Thaipusam sounds a little extreme, only thing I have heard of similar to that is Phuket Vegetarian Festival. One thing I will say, they don’t half know how to have a festival in Asia. Most people can’t imagine the sheer scale and participation of Thailand’s Songkran festival, just imagine 60,000,000 people partying, that’s Songkran. 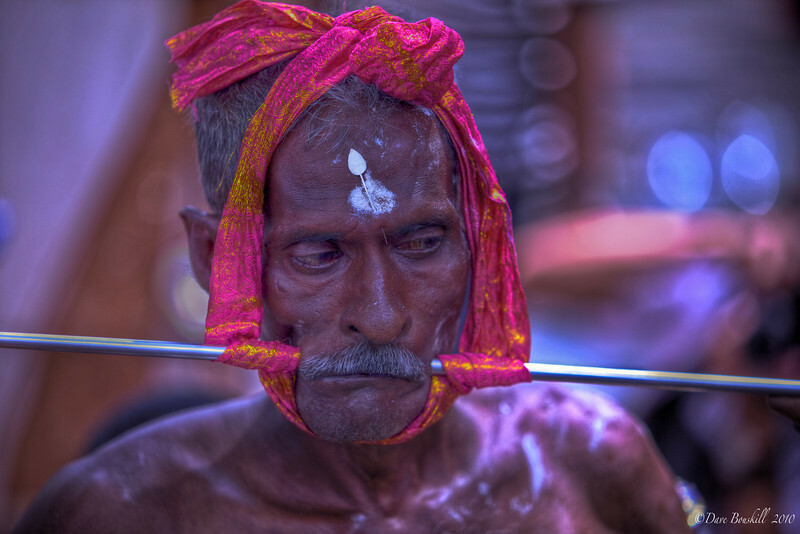 My jaw dropped with the description and pictures of Thaipusam – ouch! The other two I’d heard of, and they sound like a great party, but I think Thaipusam would be a little too much for me. Hi Emily, Thaipusam can be a little overwhelming but it isn’t quite as freaky as it looks in photos. It is actually a great celebration and the guys with the hooks and spikes really love showing off for photographers. They are in a bit of a trance and don’t seem to feel the pain or even experience the heat. It’s quite a spectacle. 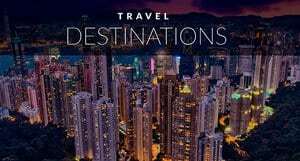 I’ve never heard of the other two, but they look like they’re worth experiencing – will keep them in mind for future trips! Ha! Could you imagine tossing water at people on Bay Street. Maybe we should try to start the festival here and make the suits lighten up a bit! Great piece and awesome photos. Hi Simon, Holi is pretty amazing. I can get quite messy thought. Make sure you have a good place to shower afterwards which we did not. We used a bucket and some cold water to try to get the powders off. I had pink hair for a couple of weeks. They have also started using this coloured foam and it really stains the skin. but it is a lot of fun, especially if you can get yourself in one of the temples to celebrate. 3 fantastic festivals! I always look forward to Songkran in Thailand – Chiang Mai is the place to be! I take it you’ve been there eh? Songkran is very fun and I agree, Chiang Mai is a great destination for it. I’m pretty creeped out by Thaipusam. I’ve seen pictures of it before and it just blows me away! The Photos of Thaipusam can certainly be a little creepy, we find that it is a bit less shocking in person. It’s tough to watch on video and in photos, but in real life, it’s pretty fun. The water festival sounds amazing, with rain … even better! Great video, Violent Femmes takes me back! Haven’t been to those three yet, I really didn’t do enough planning this year around the festivals, have to be a bit more careful in the future. I did however go to Ying Pe festival in Chiang Mai this year; it was so stunning with all those thousands of sky lanterns.